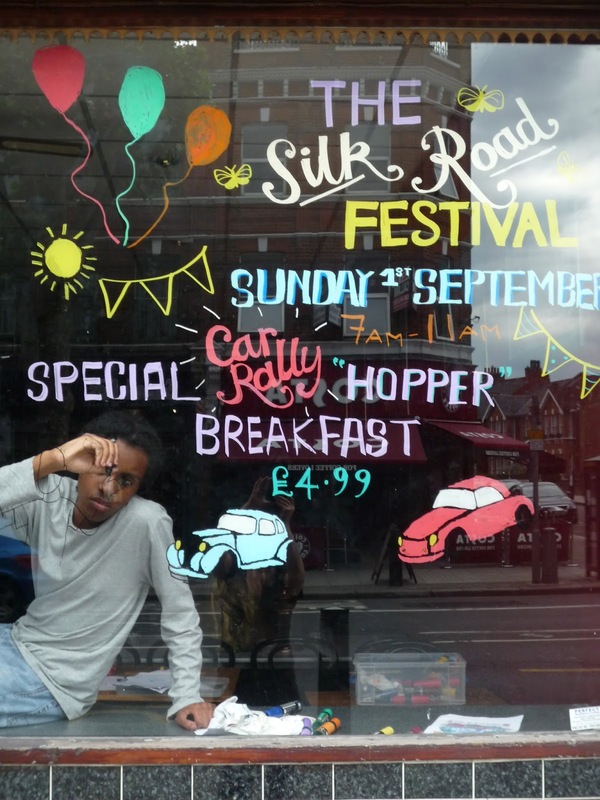 Yesterday I had the pleasure of working with art student Kreos in decorating some of Cricklewood's shop windows. 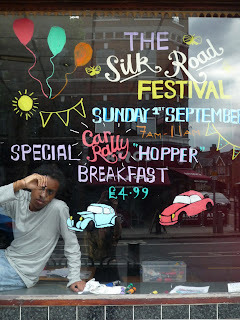 We had to advertise the up and coming Silk Road Festival in September which is a week long event and also the Car Rally. 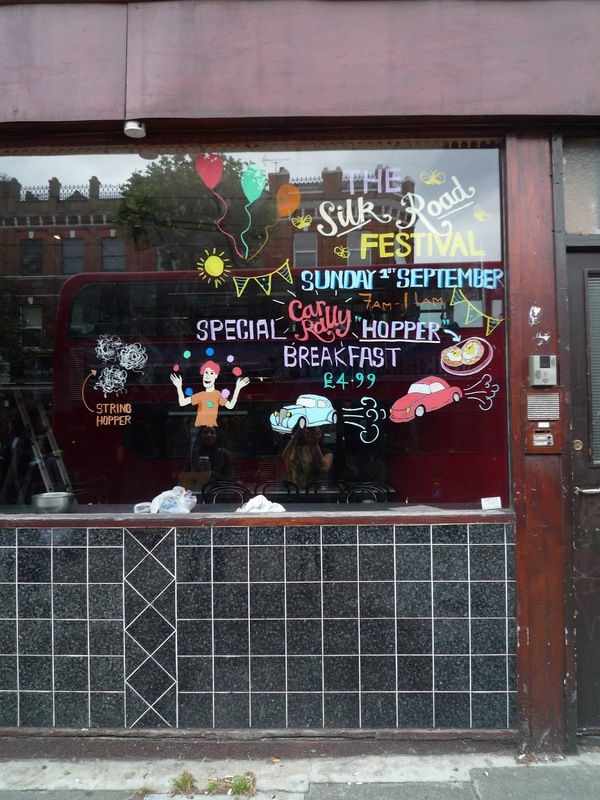 Some of the cafes wanted to advertise their Special Breakfasts on offer. 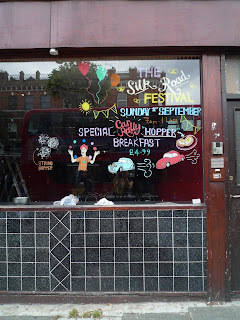 Kreos was especially talented at drawing cars so together we did three shop windows.